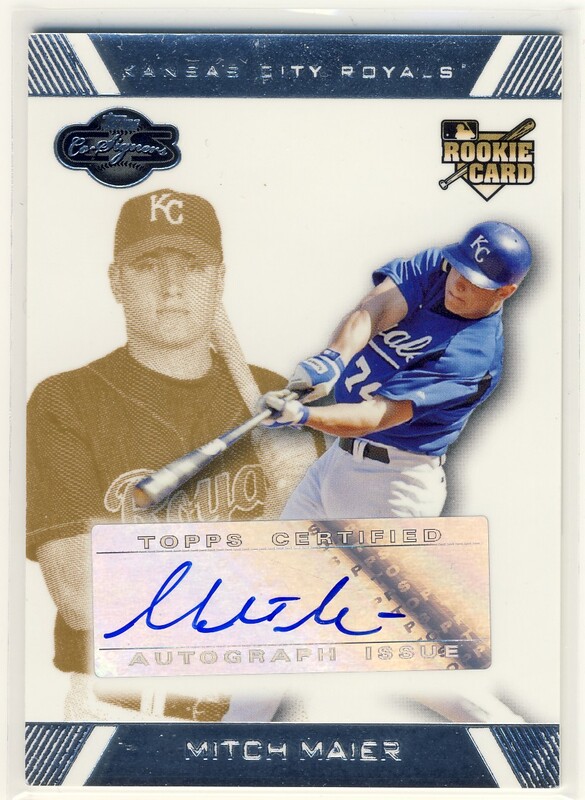 Any time I get a chance to highlight one of my many Royals autograph cards I jump on it. 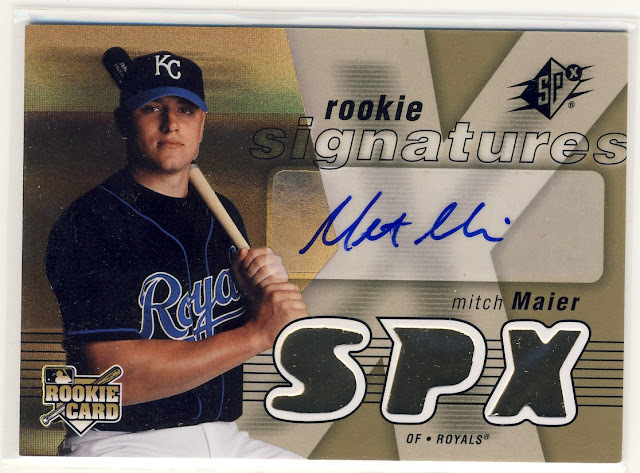 Royals temporary starting center fielder, Mitch Maier started Sunday's game against the Indians in the outfield but finished by pitching the 9th inning for the Royals. This was the second time Mitch has pitched an inning in relief and he has a perfect 0.00 ERA. Do we have Joakim Soria's replacement patrolling the outfield?